Musings 'n scribblings of a philanthrope .. : RFID vs NFC tags ..
NFC (Near Field Communication) is a high frequency RFID (Radio Frequency Identification Device) application. NFC operates in 13.56 MHz while RFID operates from 120 KHz to 10 GHz. 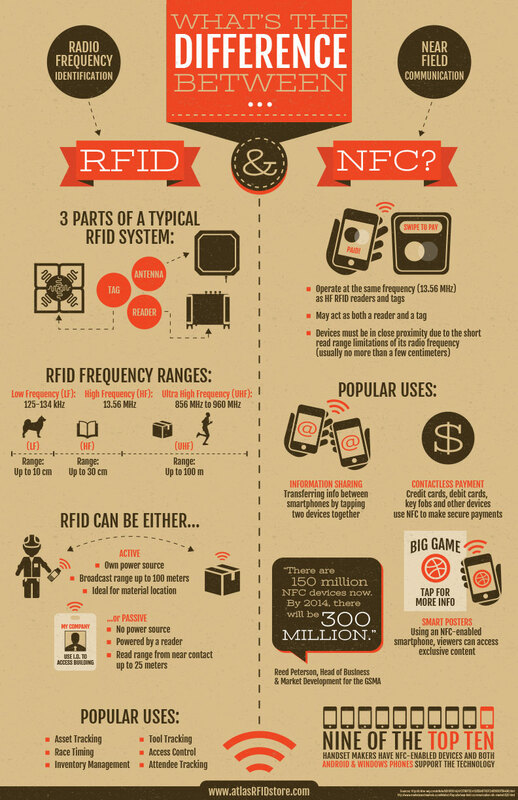 NFC is more than often contact, within a range of 5 cm, while RFIDs are also contact (passive ) or active, upto 200 m..
Read the diff more clearly from How Stuff works ..